We are please to announce that we are now Yamaha Clavinova dealers. A small selection will be available in our Brighton shop, but importantly, we can now supply any Clavinova from the complete range available. Until March 2014 we are offering a free 5 year warranty on the complete range. They also come with a matching stool. As this is a heavy item, we can only supply within a 50 mile radius of one of our shops. 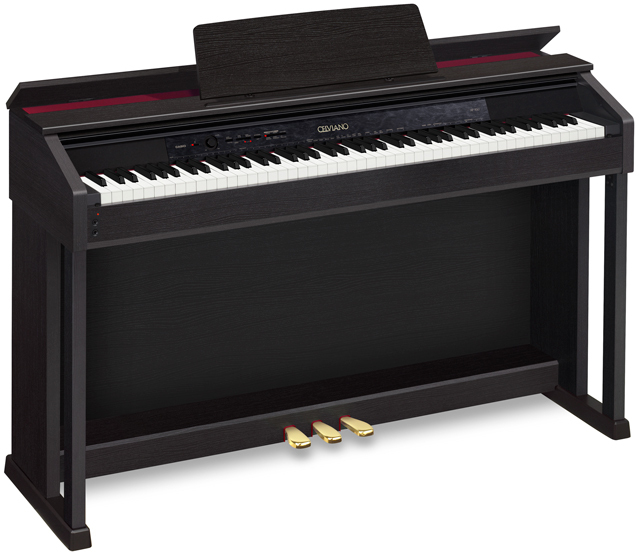 We deliver and set-up your Clavinova in your home free of charge. 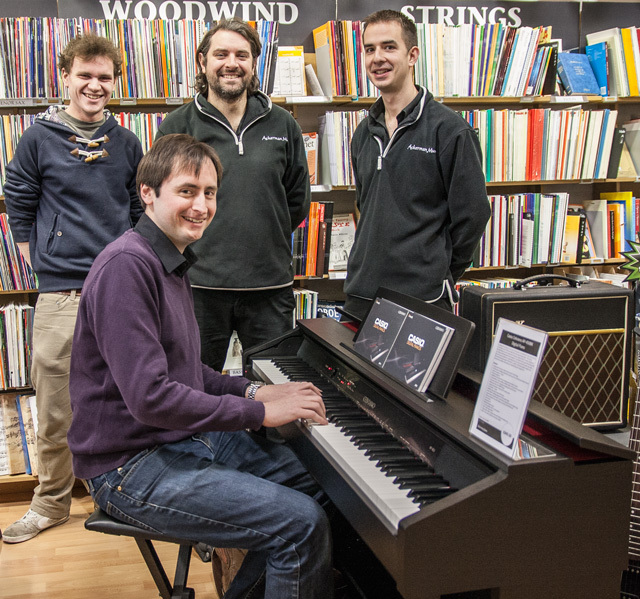 Chris Stanbury came to our Hove and Brighton shops today, to give our staff some detailed training on the new range of Casio Celviano pianos. We learnt about quite a few new features on these fantastic models, and Chris was able to demonstrate them all to us. Hopefully after this training, we will be able to pass this information on to interested customers. The NEW Celviano 450 from Casio is now available in our Brighton store. Features to note on this new model are 2 x 20watt speakers and the simulated Ebony and Ivory keys. It also has a newly developed open-lid function (shown open in the photo). This simulates an open lid on a grand-piano. 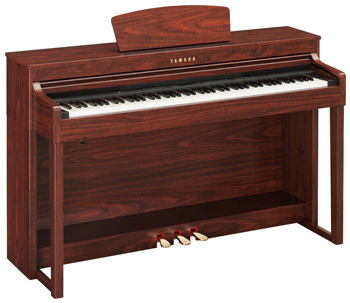 This is the only piano in our range that features 256 note polyphony. Polyphony is the number of sounds that can play at the same time without “cut-out”. These notes can soon mount up if you think of playing multiple notes with effects and the sustain pedal. Casio is the only manufacturer (to our knowledge) who feature this number. With it’s 256 note polyphony and many other features, this is a quality piano worth taking a look at.